Canada’s largest Pride parade -- with multi-coloured streamers and Canadian flags hung from balconies along the parade route -- led by Prime Minister Justin Trudeau and First Nations National Chief Perry Bellegarde, began Sunday afternoon, while Black Lives Matter (BLM) participated towards the end of the parade. The theme for Pride Toronto 2017 is inclusivity. 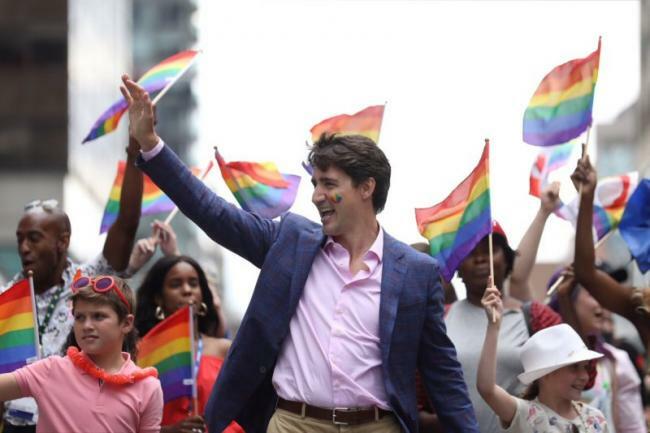 “It’s all about how we celebrate the multiple layers of identities that make Canada extraordinary and strong, and today we celebrate with the entire LGBTQ community,” he said. 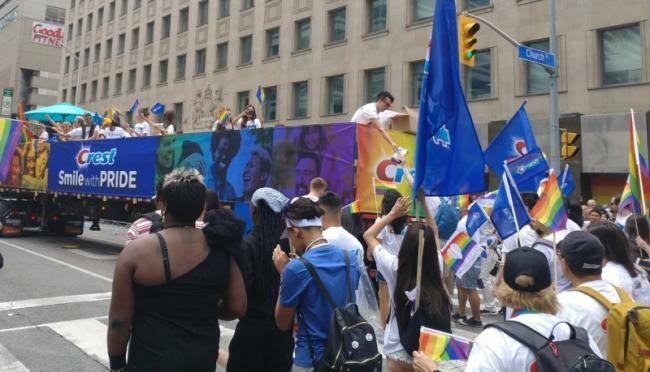 But the absence of Toronto Police in the parade put is inclusivity at stake. Trudeau was joined by his wife, Sophie Grégoire Trudeau, and their children Xavier and Ella-Grace. 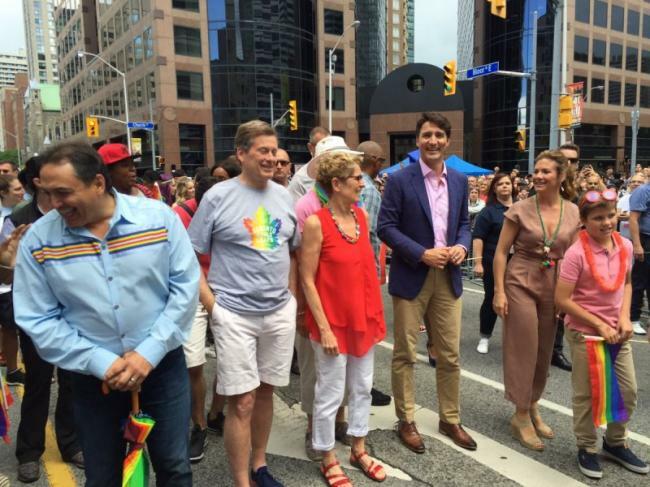 Tory said although he was excited to be at Pride Parade, he was concerned with organisers of Pride Toronto’s decision to exclude Toronto police's uniformed officers in this year's parade as per one of BLM’s demands from 2016. 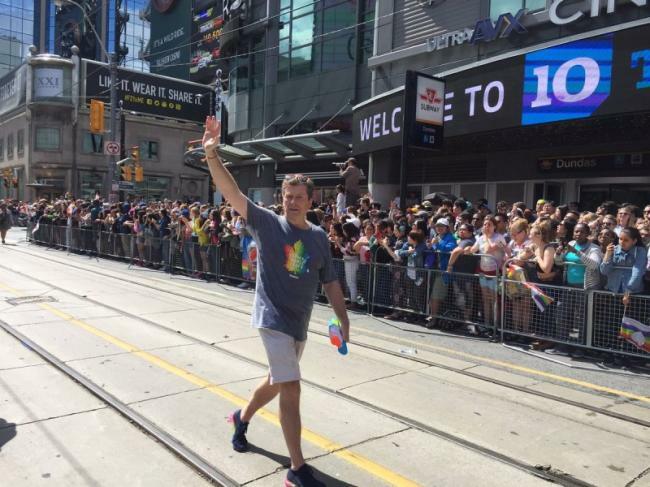 "Any time anybody is excluded it can't be a good thing," Mayor Tory told reporters. "We've got to get it resolved, we'll resolve it in the Toronto way, which is by talking about it and I'm very optimistic that it will be resolved in time for next year," he said. BLM said allowing uniformed officers at the parade could discourage marginalized communities from attending. Tweets from BLM organizers said this year’s Pride was more inclusive and accessible because of their activism. “The police not in uniform is really significantly important, especially to people of colour,” said Tori Cress, an Anishinaabe activist who walked with the Indigenous march. However, the Toronto police in their uniform, were present to guard the event. “It’s sad that we’re not able to actually march in the parade, but I understand the chief’s decision,” said acting superintendent Steve Molyneaux of the Toronto police’s 51 division. “We’re still here to police it and make sure it’s safe and make sure everyone has a good time,” he said. Police Department in the pride events on Sunday, a group from Toronto police took part in the pride parade in New York City. 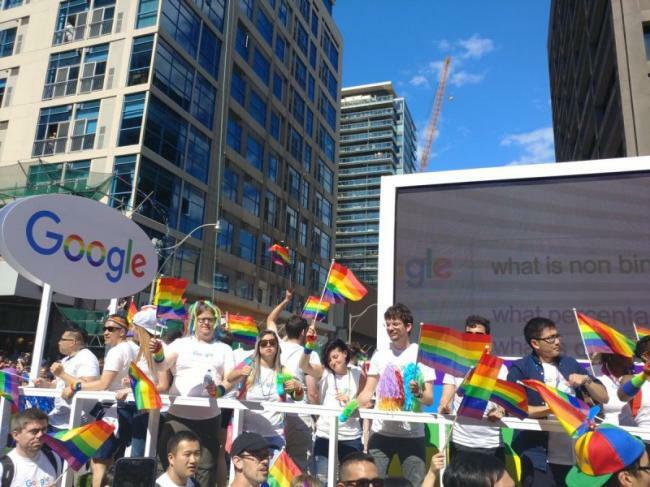 Toronto pastor and prominent gay activist Brent Hawkes, during the opening of Toronto Pride in his final service said, "Inclusion is the core value in our community and as long as a group or a company supports LGBT equality, then in my opinion, welcome aboard." A crowd of about 100 gathered, around the corner from the main festivities on Church St for an Indigenous opening ceremony which began with a prayer by Ma-Nee Chacaby, a two-spirited person of the Beaver Clan from Thunder Bay. tableau marched down the parade route. Among these were the major banks, healthcare workers, tech giants like Microsoft, Google, Facebook; health care workers, research institutes, doctors, Canadian Armed forces and other major transit groups of the city TTC, GoTransit. For many attendees, the parade was the central focus of the day. Lucky Vincent Bersales, who grew up in the Philippines, marched for the first time in this year's parade.